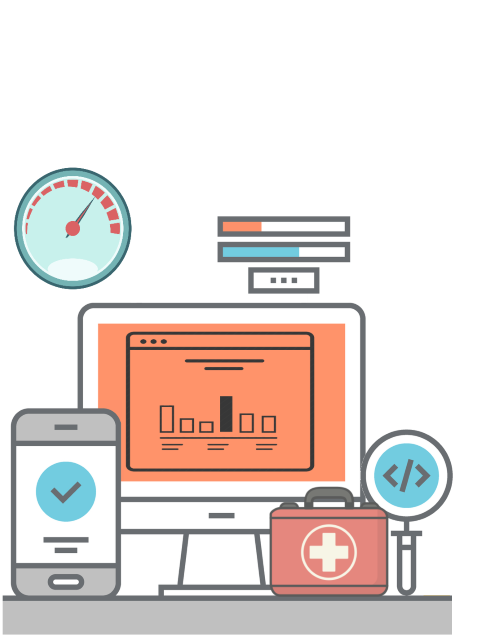 We understand that not only load testing experts need to test the performance of their application. We also know that most people would like to spend less time on configuring tests and more time actually learning what they could do to improve their application's performance. That is why we offer Premium Support. With Premium Support you get unlimited phone support, extended office hours and a set of time-saving tools. However, the highlight of our premium support is the Test Therapy Service. With the Test Therapy Service, you get a dedicated performance testing consultant who will be your personal representative to assist you with your specific load testing challenges. Did you record a test case and get flooded with warnings or errors after running verify? Your rep will add missing correlation and create required parameters until all errors are resolved. Furthermore, the rep will train you so that next time you can fix similar issues yourself. Did you run a test and feel overwhelmed with all of the analytics about your app that StresStimulus collected? Your rep will walk you through interpreting the data and point out how to find performance bottlenecks. You will also learn how to refine your test configuration to target your next test run to further expose areas with potential performance issues. Training in advanced techniques of discovering hidden performance-related errors in your application. If your testing plan requires developing custom logic and .NET code, - providing design specifications with examples that will assist you to prepare the script. Giving you advice on a specific issue or performance testing best practices. Have another load testing need in mind? Contact us. Use your personal Click-to-Schedule link to book a Test Therapy Support session in as little as two hours. Your rep will work with you through a screen sharing session until your script correlation or parameterization issue is resolved. With the Test Therapy Service, you can rest assured that you will get the answers to all of your performance testing questions...even those that you didn’t know you should ask. Let the experts who developed StresStimulus be the ones who help you use it.